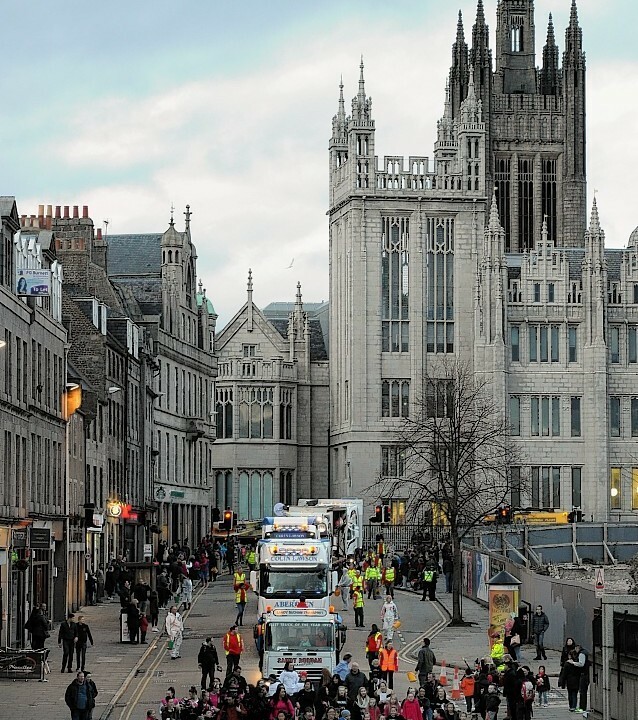 Hundreds of people lined the streets of Aberdeen city centre on Saturday to celebrate the 126th annual student Torcher Parade. 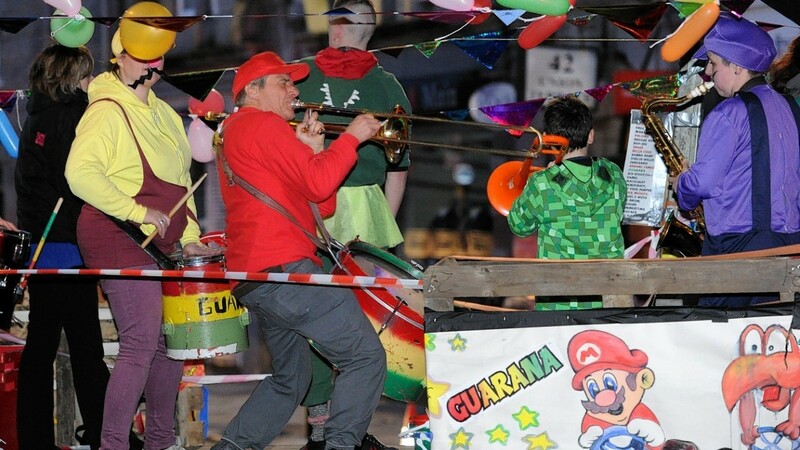 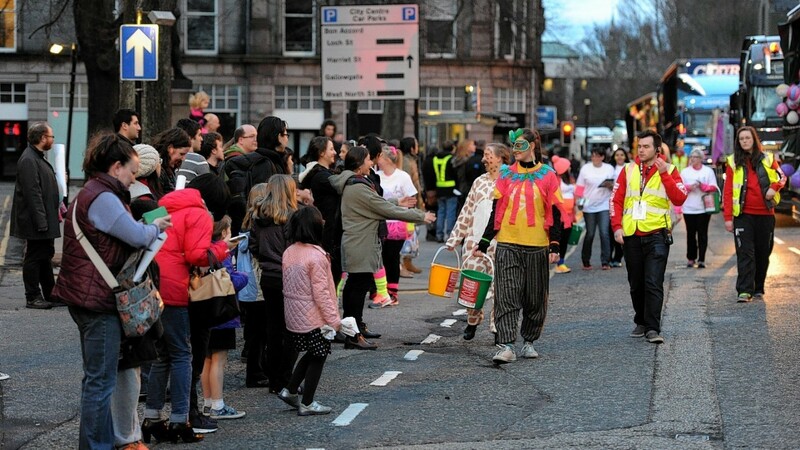 Travelling from the Gallowgate, through Rosemount, past Queens Cross and finally down Union Street, the colourful torch-lit procession featured more than 2,000 students in fancy dress to raise money for charity. 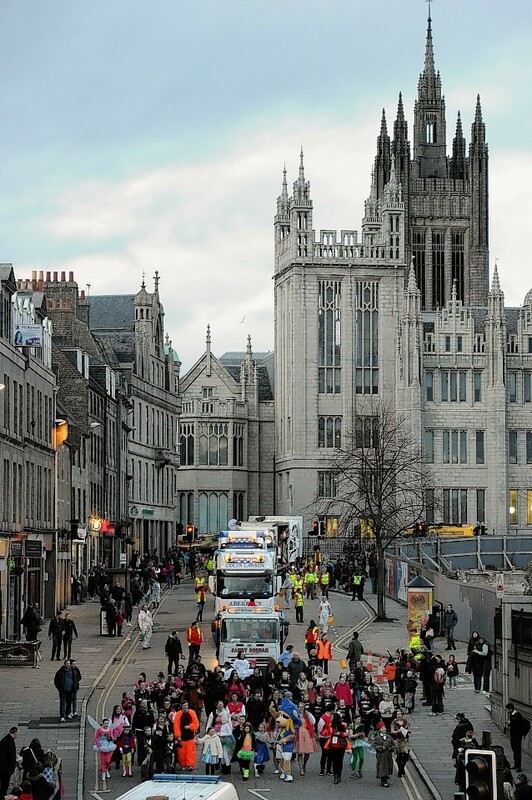 Students from Aberdeen University, Robert Gordon University and the North East Scotland College all rattled collection buckets as the convoy of 30 floats passed along city streets. Costumes were inspired by Ghostbusters, Super Mario and Harry Potter amongst others. 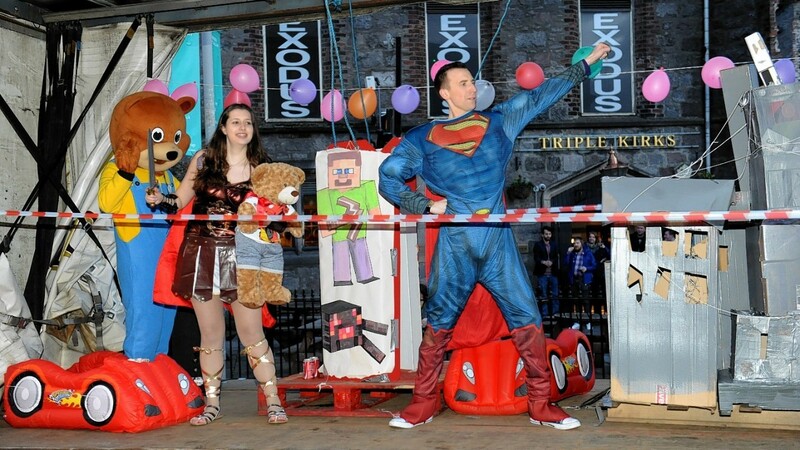 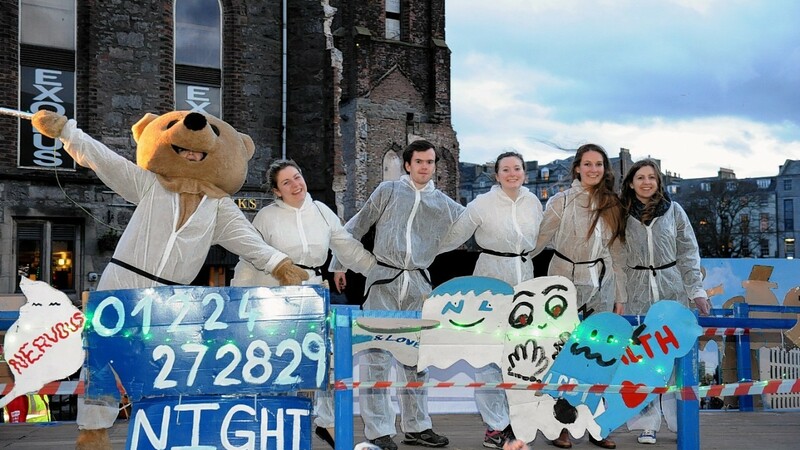 One of the more high-brow floats that rolled down Union Street was created by Aberdeen University’s Philosophy Society, who rode on an Ancient Greek-themed float that was hastily slapped together on the morning of the parade, keeping in line with the historic traditions. 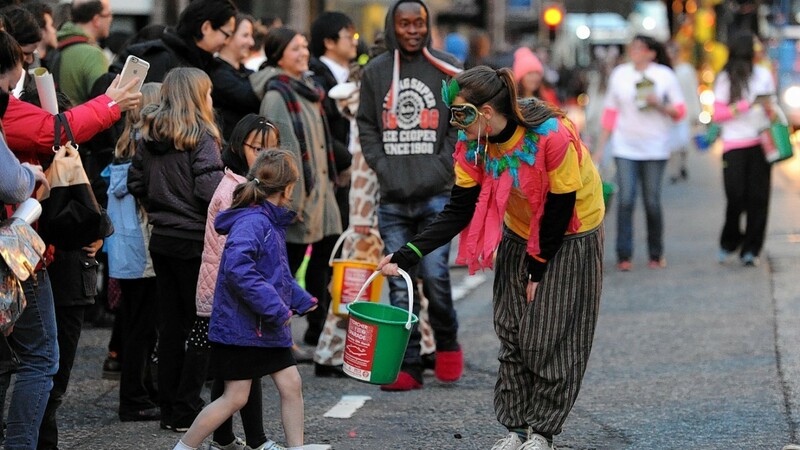 Rain that had battered the city all morning had stopped in good time for the parade at 6.30pm, which raised cash for up to 37 local and national charities operating in the north-east of Scotland. 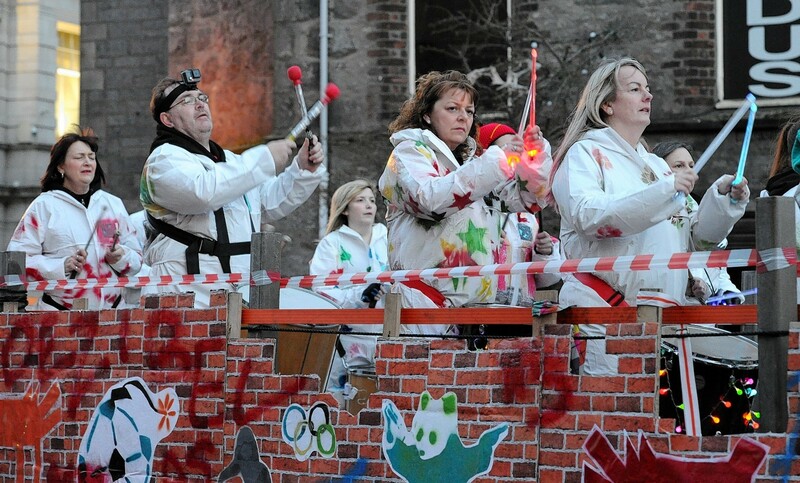 The parade was supported by a variety of sponsors including Wood Group, Union Square restaurant Thaikhun, and local transport companies, including Colin Lawson Transport, who provided the students with the trailers needed for their floats. 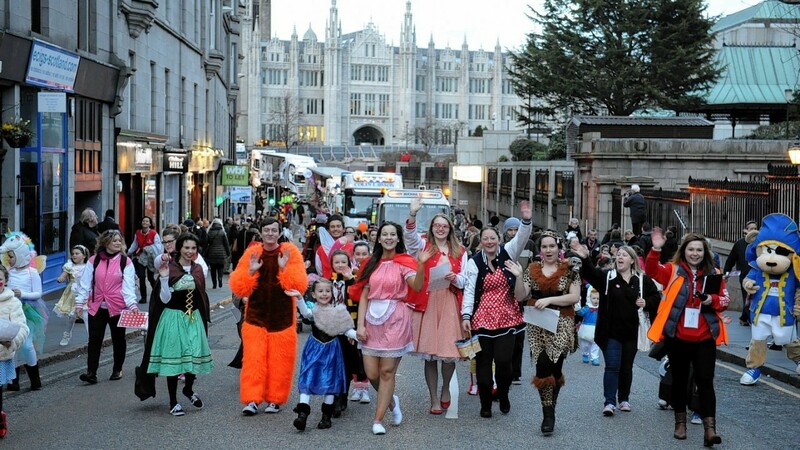 Create Aberdeen, a local charity that provides support for adults with learning disabilities, was just one of the charities to benefit from this year’s torcher parade. 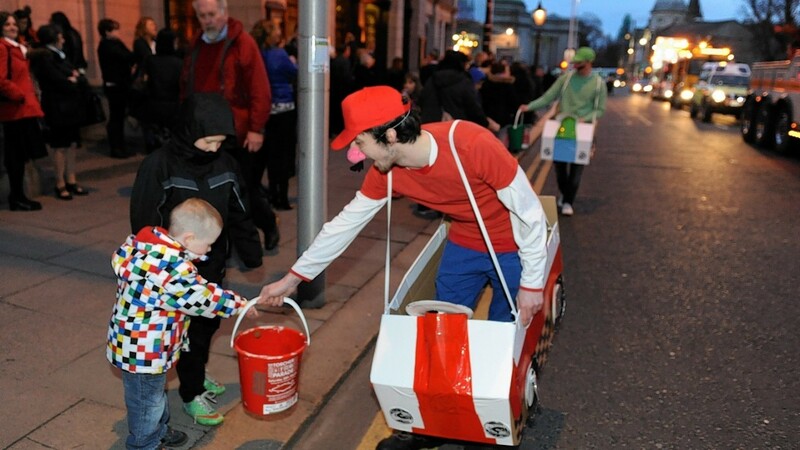 They received £950 from the parade to help replace drumming equipment for one of their support workshops. 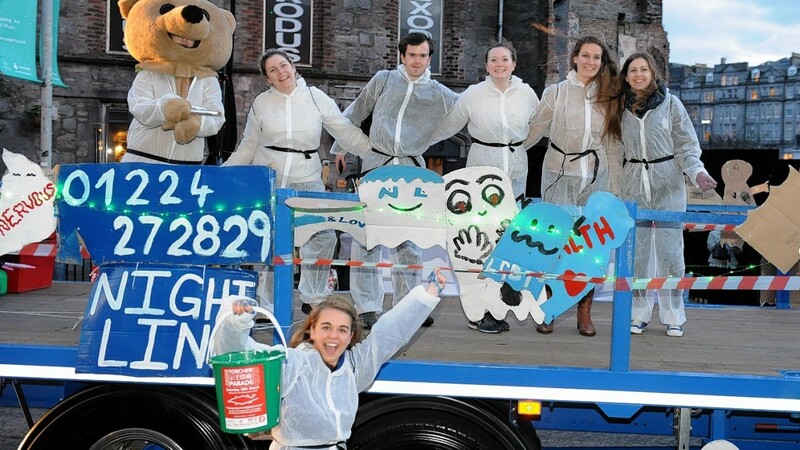 The Archie Foundation, the official charity of the Royal Aberdeen Children’s Hospital, received a whopping £8,700 thanks to the student’s charitable deeds. 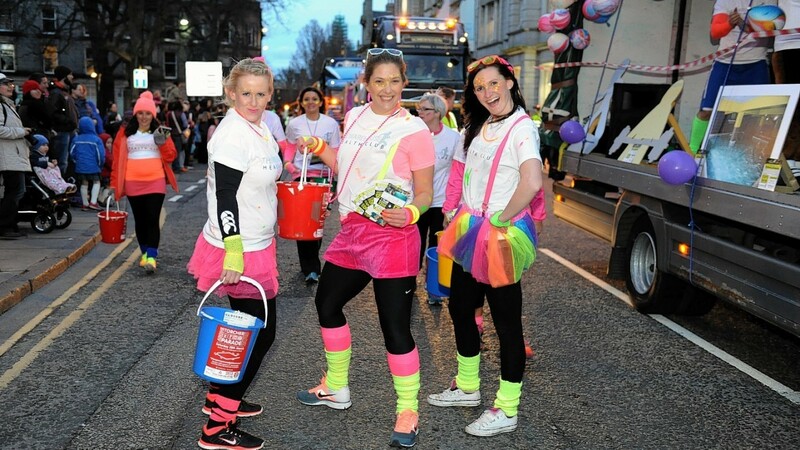 The donation will enable the organisation to completely refurbish one of the children’s rooms at the hospital.